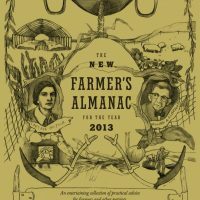 The theme of the second New Farmers Almanac is “Agrarian Technology.” With contributions from more than a hundred authors, artists and other contributors, the Almanac holds a civil, lived testimony from thoughtful agrarians across the continent whose work, life, and behavior patterns beamingly contradict normative values of the macro-economy called America. Agriculture, in principle a pre-requisite for what we now call civilization, seems to have become a portal for deliberate, cultural and joyous retort against it. Historians cite very few agricultural societies that managed without servitude and hierarchy―necessary in order to maintain the irrigation, water-works and infrastructures. 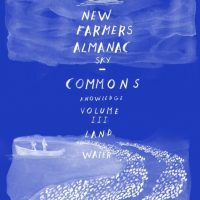 Exceptions in commons-based land governance abound in the literature, if not in the prime ecosystems of human habitation: the conical land-sharing of the Hawaiian aina, the 10,000 year corn culture of the Abenaki, the perennial water gardens and spiritual algorithms of paisley-shaped rice paddies. Greenhorns are dedicated to the project of holding space for producer (not consumer) culture; this volume is the sequel to our commitment in this direction. Essays in this volume shoot out like spider-webs across the wide chasm of impossibility―the glorious rescue mission whose daily requirements keep us human, hopeful, and operating inside the scale of possibility. What future can we realistically build together? Will it need electricity? Will it need globalization? Will it continue to require the power of history on our side of exploitation? 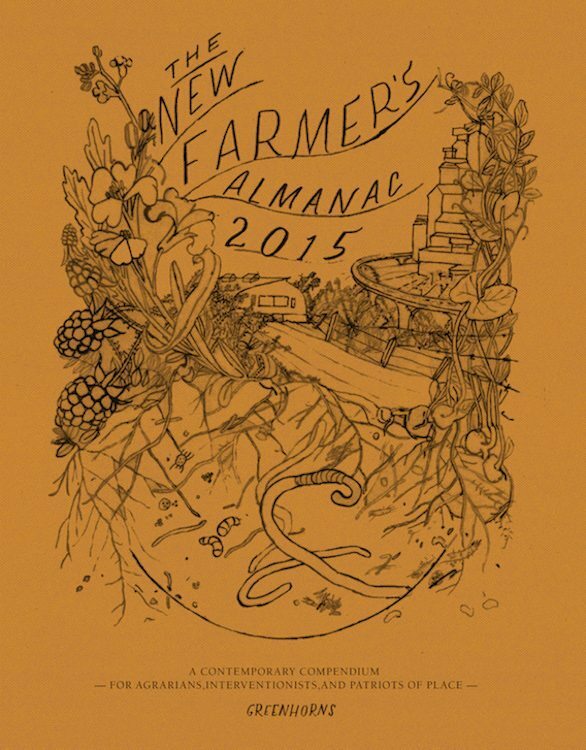 These practices we’ve found: biodynamics, permaculture, resilience breeding, state-change in the soil, reformats of ownership, reclaiming the value-chain, re-tooling for diversity, committing to lifetimes of partnership… How long before they allow us to reach steady-state? Do they require interns? Do they require servants making silicon chips? Do they require, absolutely require, the internet? 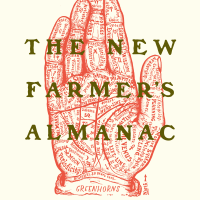 Which technologies are relevant to, appropriate to, and gestating within the new agrarian mind? Through the threshold of our email-box, and into the pages of this volume, some answers have come to this question.